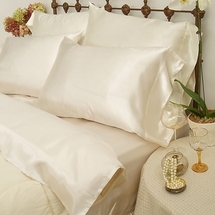 Luxurious Sheets and Pillowcases With our full inventory of superior quality sheets and pillowcases available at our unbeatable everyday online bedding values, you can treat yourself to pure luxury for a price that is certain to make you smile! 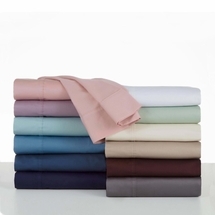 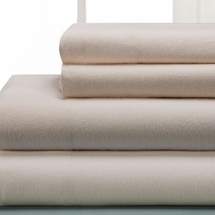 Offering a wide assortment of pillowcase and sheet set options including a full range of 180 to 400 thread-count bed sheets, we feature only the highest quality products from today’s leading and most trusted brand names including Wamsutta, Dan River, Springmaid, Croscill, Scent-Sation, Yala/Dreamsacks and many more! 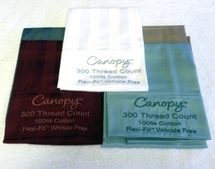 Whispersilk Silky Sheet Sets By Scent-Sation, Inc.
With sumptuous Supima cotton sheets and pillowcases along with opulent sateen sheet sets, Egyptian cotton sheets, easy-care cotton, soft poly/cotton blends,charmeuse satin, jersey knits, flannel and ultra luxurious bamboo our tremendous inventory of sheets and pillowcases truly offers something for everyone and every bedroom décor! 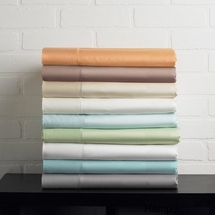 From solid color silk and satin sheets and pillowcases to vibrant animal prints, vivid patterns, flannel sheets and so much more, we offer a wide array of pillowcase and bed sheet sets for twin, full, queen, king and California king beds! 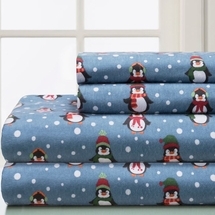 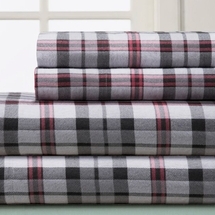 Shopping for dorm bedding or other specialty sheets? 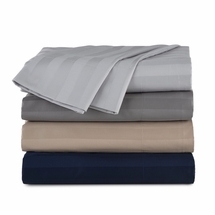 We also carry a great selection of extra long twin sheets for dorm room bedding as well as waterbed sheets and pillowcases. 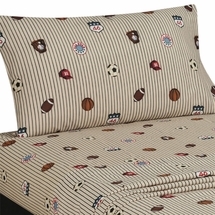 Have an antique bed? 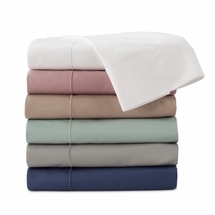 We have 3/4 bed sheet sets in a 250 thread-count cotton rich blend in stock now at unbeatable online prices! 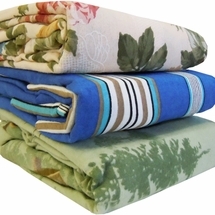 Regular flat and fitted twin bed sheets are 39X75" and XL twin sheets are 39X80". 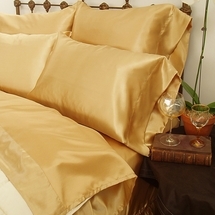 When in doubt...go with the extra long bed sheets, you can always tuck in the excess. 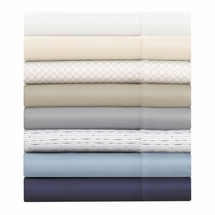 The regular twin fitted sheet WILL NOT fit an extra long twin bed. 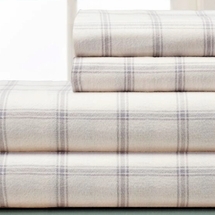 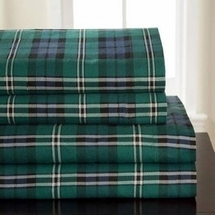 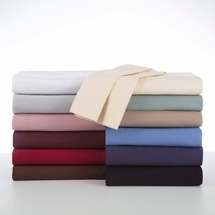 Be sure to add a cotton rich tailored bedskirt to your sheets and pillowcases order! 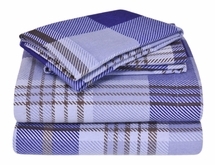 Sheets and pillowcases can be ordered online at anytime 24 hours a day, 7 days a week right here from our completely secure site. 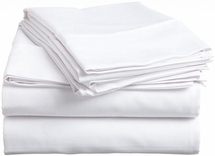 For more information on the pillowcase and sheet sets available in our current inventory, or to place a sheets and pillowcases order by phone, simply give us a call toll-free at 877-233-2284 and a friendly Laurens Linens representative will assist you!